- Reset is based on questions which a few end-users forget the answer to. It would be nice to have a SMS or call feature, together with a personal PIN, which can provide you a code to reset your password. This software provides our end users with a web-based, self-service solution for issues related to password reset management and account lockout. This has effectively reduced up to a third of our most urgent helpdesk issues allowing us to maximize IT resources. 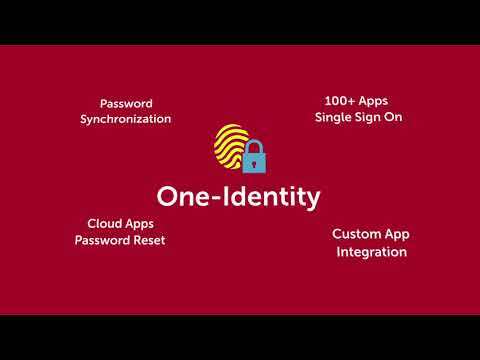 Both the enterprise and its users can feel secure with the multi-factor authentication techniques Single sign-on (SSO) feature based on Microsoft Windows Active Directory enables our users to have seamless, one-click access to cloud and enterprise applications such as G Suite, Office 365, and Zendesk Free SMS, email and push notifications notify our end-users that their password is about to expire and recommend a password change to prevent lockout. There have been times when we had problems because the user has forgotten the answers to their security questions, but support was very helpful and the issue was resolved quickly. Lower support costs, less burnout from unlocking accounts and resetting passwords.Ad self service plus was very easy to configure and start using with our employees. It has saved our IT support staff many hours responding to locked out users accounts and forgotten passwords. Since we are a 24x7 business, it is especially helpful for employees help themselves instead of waking up the support person on call. Ad self service plus was very easy to configure and start using with our employees. It has saved our IT support staff many hours responding to locked out users accounts and forgotten passwords. Since we are a 24x7 business, it is especially helpful for employees help themselves instead of waking up the support person on call. I haven't been able to get the automated answer import to work. I have scheduled a job that imports a daily generated csv file from our hr system, but I can only run it manually. I have a ticket open to get it resolved, so hopefully we can start utilizing the full functionality soon. Ease of Daily password activities.Users can reset their password from any where.We published the application over the Internet and our customers around the globe use it for Resetting/Unlocking their password. Users can reset their password from any where.We published the application over the Internet and our customers around the globe use it for Resetting/Unlocking their password. More Authentication security like Pulling the Employee ID for verification. Currently is pulling the name from AD, if we have some custom attribute in AD and we want to bind that custom attribute for verification. This is a great tool to help your users reset their passwords or unlock accounts. It send reminders to the users that their password is expiring and it has a portal that let the users login to change their passwords or unlock their account. sometimes the software can be a little buggy, because it won't let the users unlock their account and then they need administrators to help them. ADSelfService Plus is licensed based on the number of Domain Users who would require a password reset or Account unlock. The product is completely free for 50 Domain Users. - Avoiding repetitive tasks and deployment in more challenging tasks. Below are some frequently asked questions for ManageEngine ADSelfService Plus. Q. What type of pricing plans does ManageEngine ADSelfService Plus offer? Q. Who are the typical users of ManageEngine ADSelfService Plus? Q. What languages does ManageEngine ADSelfService Plus support? Q. Does ManageEngine ADSelfService Plus support mobile devices? Q. Does ManageEngine ADSelfService Plus offer an API? No, ManageEngine ADSelfService Plus does not have an API available. Q. What other apps does ManageEngine ADSelfService Plus integrate with? Q. What level of support does ManageEngine ADSelfService Plus offer? Q. Which apps is ManageEngine ADSelfService Plus compared to most often?